L’Arte del Gelato in New York City, where you can pick up a scoop of 'Ciocco Peperoncino' - that's chocolate with Cayenne pepper. There are few arguments that Italy rules the Gelato world, but who scoops second prize? 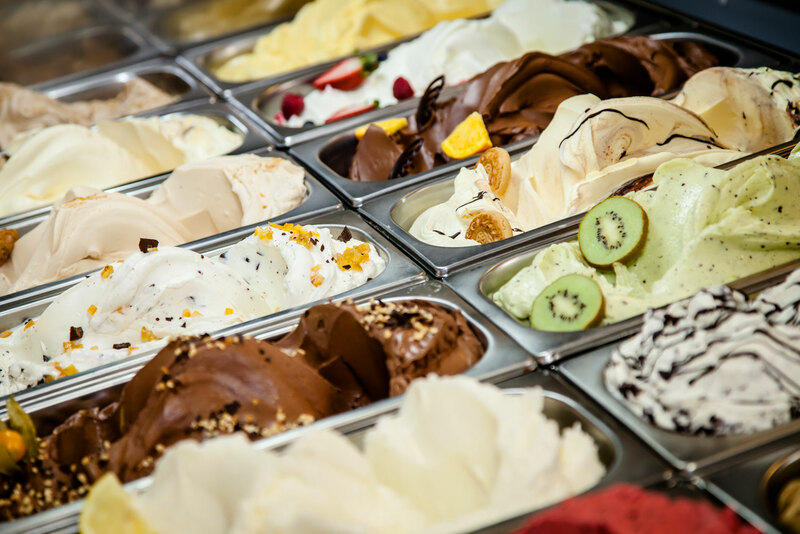 Here we reveal the top five gelato shops not in Italy. Whoever said they were too cold for gelato was crazy. No excuse is good enough not to indulge. Christian Oddono, whose Grandmother used to make the homemade gelato in Italy started the business in 2004 and since then has produced over 130 flavours. They have awards coming out of their ears, so no matter how frosty the weather is outside, you won’t want to miss out on flavours like chocolate ginger and chilli ice-cream. They select natural ingredients from around the world: Vanilla pods from Madagascar, Valhrona Chocolate from France, Natural Pistachios from Sicily, Hazelnut from Piedmont and they don’t use any colourings, preservatives or GM products. These are truly artisan gelato makers who create their gelato the old fashioned way following traditional techniques passed down from the fathers of gelato in Italy. They work with locally sought ingredients and create flavours that keep in tune with the fruits of the season. They produce fresh batches everyday using customary Italian imported equipment, and by combining their passion and ingenuity they create both classic and modern mouth-watering flavours. Fenocchio opened in 1966 on Place Rossetti in Nice’s old town and has always been family owned and run. With a collection of 94 flavours including some serious gelato curve balls, like the very Italian Tomato and Basil, you’re sure to be in for a, wait for it… ‘ice-creamience’. This gelato joint was inspired by a family trip to Italy by the McKearney family. Since they started up they have accumulated numerous awards and over 120 flavours worth writing home about. At any one time they will have over 50 flavours to taste test and salivate over. All their gelato is prepared onsite with 100% New Zealand ingredients. L’Arte del Gelato strives to make the ‘best and healthiest gelato in the city’. Using the finest ingredients and secret preparation methods along with classic recipes of the Italian tradition of dolce freddo, their gelato is unmatched in the area.